Certified & Registered Master Plumber in Auckland ® founded by Jonathan Gaines, who has 24 + years trade industry knowledge and experience. 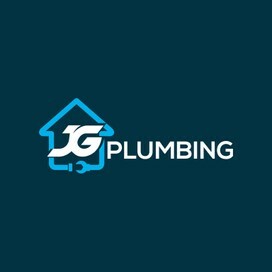 JG plumbing is a New Zealand owned and operated business offering solutions to all aspects of plumbing and gasfitting. The business was founded by Jonathan Gaines, who has 24 years trade industry knowledge and experience. You can have peace of mind knowing that we are current members of site safe NZ, Master Plumbers, Gasfitters and Drainlayers Association and also, The Plumber Gasfitters and Drainlayers Board. JG Plumbing team are qualified tradesmen in the residential, light commercial, rural and industrial sectors, offering a high standard of workmanship, coupled with a friendly and reliable service. We are simply a call away to advise on solutions to all your plumbing and gasfitting needs, particularly when you are making important planning decisions around your building or renovation projects. Based in Auckland we have the capacity to service Auckland wide region. Call us on (022) 013 3295, or email us on admin@jgplumbing.co.nz for a free quote. Visit www.jgplumbing.co.nz for more information. Job done with perfection with professional inputs. Jonathan was a pleasure to deal with, was very responsive to my questions and concerns; provided solutions to my issues in a timely manner. He helped us with our bathroom issues (low water pressure) at our new home - fixed within an hour! Will definitely recommend to friends and family.